Friendly Frank is a loving dog with tons of energy and eagerness to play and learn. His foster family says he’s a bit of a “velcro dog” and will stick with his people. He would benefit from working on some basic obedience training and continued work on his leash and crate training, but he’s shown eagerness to learn. All Frank wants is to be loved, and he needs a home that will offer him the time and stimulation he needs to thrive. 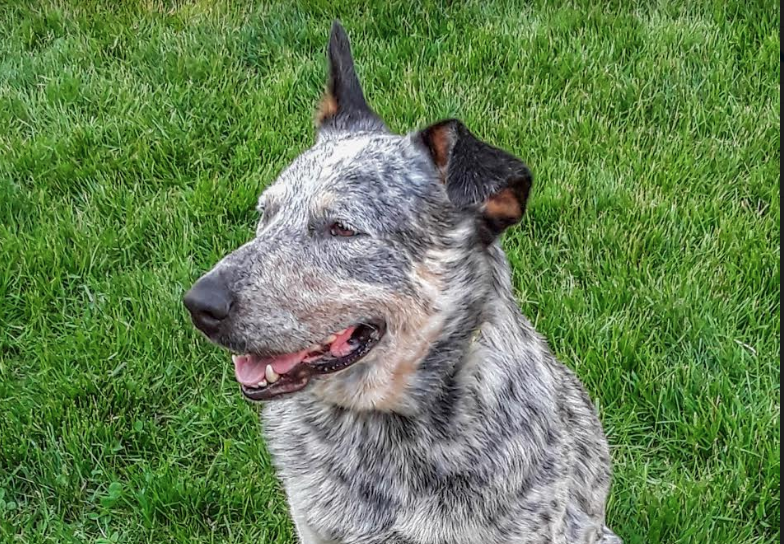 Cattle dogs are a herding breed, and Frank loves to herd other dogs. He is friendly with other dogs but doesn’t always get the message that they need space. He hasn’t been tested with cats yet, and when it comes to outdoor animals like squirrels and rabbits he has a high prey drive and is always wanting to give chase. With strong leadership and lots of exercise, Frank would be the perfect companion!